After the wall that divided Berlin came down, Thomas Arslan took his camera and went to the former margins of West Berlin: Neukölln/ Treptow, Moabit/Mitte, Wedding/ Prenzlauer Berg, Märkisches Viertel/ Wilhelmsruh. Shot in November and December of 1990, Arslan left his camera immobile and created some photographic portraits of bleak winter landscapes under construction. This simple concept guaranteed the cinematic preservation of urban spaces that have long gone or changed beyond recognition. ON THE MARGINS is an early documentary work of a filmmaker who would later become a prolific auteur of German arthouse cinema. The single frames of 8 mm films are compared with windows in building facades of a city. Various photo, video and film materials were collected and modified in a graphic way. This found footage was mounted like a collage and combined with the music of Franz Schubert. Something is happening in Mitte and we can watch it in fast motion. „Sophie Charlotte“, a common name for the children of former party-people-turned-petit bourgeois, Biedermeier parents of Prenzlauer Berg, is born in 2013. But wait – this particular Sophie Charlotte is growing too fast, blocking the sun, blocking the view of director Bert Gottschalk’s apartment. She is filling a gap, of which there are few left in Berlin nowadays – which is a shame. An art project in motion and animation. 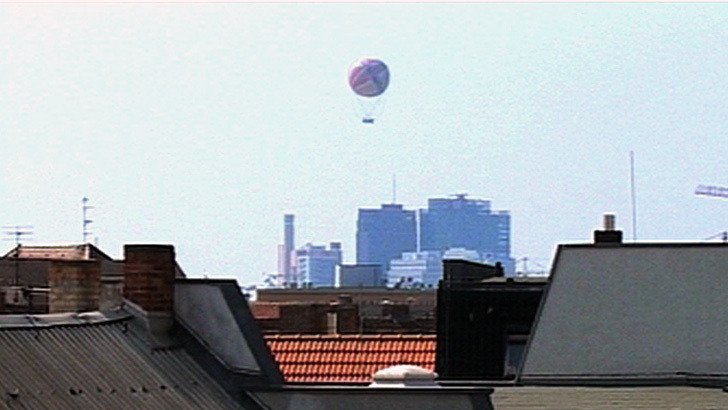 The video is the first in a series of videos about changes in urban culture and was filmed in the former eastern part of Berlin during the summer of 2004. Privatising public spaces is undermining the social structure of cities. The function of the architecture shown in “My Barrio” is to represent economic rather than social interests. Only a single man is walking through these artificial fake-public spaces, where he appears like a foreign body, conveying the frightening size of the project and the anti-humanistic concept inherent in this architecture. Through sound design, Christian Obermaier foregrounds the lost quality of the figure in places, sometimes stressing and caricaturing the architectonic spatial structure.